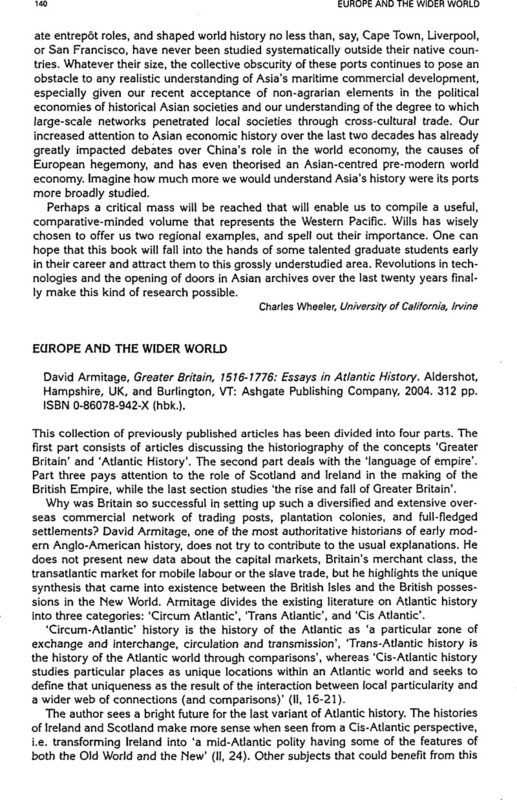 David Armitage, Greater Britain, 1516–1776: Essays in Atlantic History. Aldershot, Hampshire, UK, and Burlington, VT: Ashgate Publishing Company, 2004. 312 pp. ISBN 0-86078-942-X (hbk. ).